Renting a limo is a great way to have fun and be treated like royalty. Most people are used to renting a limousine for weddings, proms, or to go to a concert. Here are some suggestions for other occasions when a limousine will a make any special event truly unforgettable. Wyoming Limousine Service Welcome to Limo-Click.com your online source for limousine rentals for Proms, weddings, concerts, or just for fun. Ride in style for less at Limo Click. Get a 10% discount on your limousine service when you tell the limo rental company that you found them on Limo-Click.com. So why does renting a limousine enhance your occasion or event? If you have a group of people to transport from different locations, usually every one splits up into their separate cars and gets stressed from traffic and driving conditions. Everyone is distracted from the event and usually arrives more stressed than when the event started. If everyone rode together in a limo the event isn't broken up by driving. The ride becomes part of the event and the groups focus is kept on the fun of the event. Riding in a limousine creates an intimacy between you and your guests that just can't be achieved in other forms of transportation. You know everyone is watching who gets out of the limousine. The little things like this create a special camaraderie between you and your guests in the limousine. Renting a limousine for your event is green and eco-friendly. Transporting ten people in one limousine is much more fuel friendly than using 3 or 4 cars to move the same ten people. Rent a limo, help prevent global warming! The bigger the limousine and the more people you transport in the limo, the more eco-friendly your limo ride is. 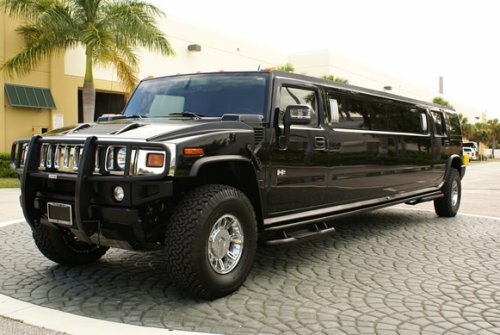 Browse through Limo-Click.com to find great suggestions and ideas for renting a limousine. Our limousine guide will show you all the different types of limousines rentals that are available. We have limousine rentals available in every style imaginable. We have petite limousine rentals for smaller, more intimate occasions, and stretch limousines rentals that will hold up to 25 people for bigger occasions. Our limousine rental suggestion page has dozens of ideas and suggestions for renting a limousine. Everyone knows to rent a limo for proms and weddings, but have you ever thought of renting a limousine to go look at Christmas lights, or bring your new baby home from the hospital in a limousine rental. Limo-Click.com is corporate America's first choice when it comes to corporate limousine rentals. Our airport limousine service is usually cheaper than driving yourself to the airport and paying for long term parking. Limo-Click.com airport limousine service also saves you the hassle of lugging your luggage through the parking lot to the airport terminal, saving you time and money. Limo-Click.com is a limo charter service that will save you money. Limo-Click.com will save you money on all of your limousine rentals. Tell any limousine service provider that you found them on Limo-Click.com and they will give you a 10% discount! Instant savings on your limousine rental. 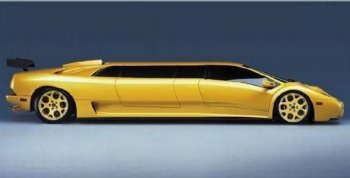 One of the most common questions we receive at Limo-Click.com is: How much money should you tip the limousine chauffer? The standard tip for a limousine chauffer is 10% of the limo rental charge. If you feel the limousine chauffer did an exceptional job or if you asked the limousine chauffer to assist you to in setting up for your event, 20% would be a more appropriate tip. Bachelor Party Limousine Rentals - Renting a limousine for a bachelor party is a great way to have an unforgettable experience and help prevent your bachelor party guests from drinking and driving. Most clubs will waive the cover charge for your bachelor party when you roll up in a limousine. Most clubs will also move your bachelor party to the front of the entry line when you pull up to the club in a limousine. Club owners want to pack their club with professional people looking to have a fun night of drinking, dancing and partying. When you pull up to a club in a limousine you are clearly sending all the right signals to the club owner: You have money and are looking to party! Many bachelor parties prefer to rent a limo bus or a party bus for their bachelor party. Some bachelor parties even hire dancers for entertainment in the limousine. Renting a party bus or limo bus for your bachelor party allows your guests and dancers to get up and move around. Kind of a difficult thing to do in a traditional limo or stretch limousine.